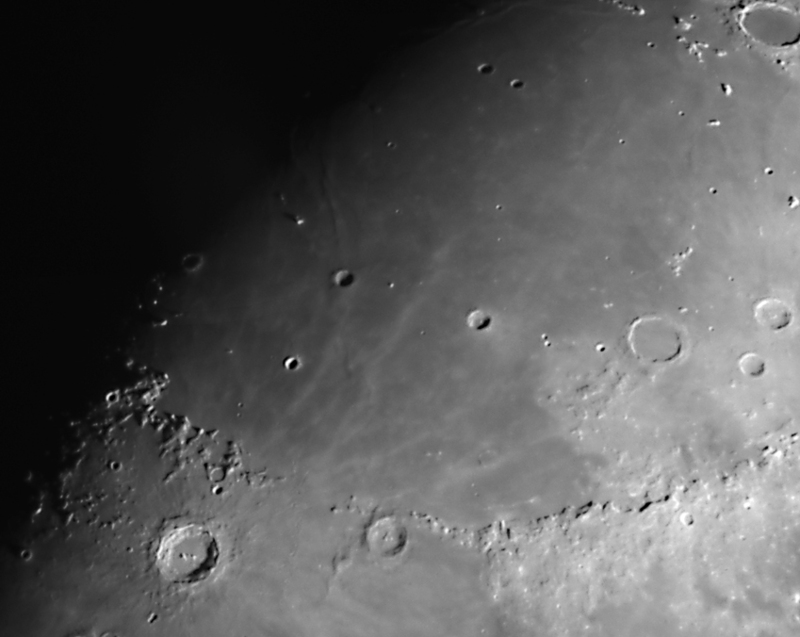 The large crater lower left is Copernicus. You can see rays extending away from this large crater into Mare Imbrium. The Appenine Mountains can be seen extending off to the right. Archimedes is the large crater right of center. Plato is the large crater in the upper right corner. This image is constructed as a mosaic of 4 individual images.